Palestinian Authority Arab terrorists continued to fire at southern Israel Wednesday with fresh rocket barrages launched at Eshkol. Palestinian Authority Arab terrorists continued to fire at southern Israel Wednesday with fresh rocket barrages launched at the Eshkol region. Three short-range Qassam rockets exploded in areas within the Eshkol Regional Council district a few minutes prior to the noon hour, local radio broadcasters reported. The Color Red rocket alert siren apparently failed to activate and warn residents of the incoming missiles. One of the rockets started a fire, but no one was injured in the attack. Gaza terrorists have fired 19 rockets at cities and towns in southern Israel in less than 24 hours -- since Tuesday night. Seventeen were fired at the Negev, and two were aimed at the Lachish region. One Border Police officer was seriously wounded in one of the rocket attacks in the Ashkelon coastal district, and three others were lightly wounded. Three women in the Eshkol region suffered shock. An early-morning barrage fired at the Eshkol just minutes before Israel's final day of classes for some 640,000 public high school students had already sent youths racing for their shelters just before school was about to start. 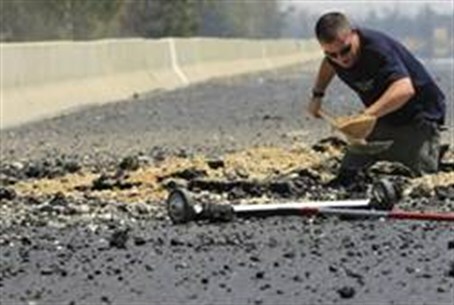 The three rockets landed in open areas around the Eshkol region at about 8:00 a.m. The attack came minutes after medium-range a Grad Katyusha missile was fired at the city of Be'er Sheva. Residents of the Negev's largest city, home to nearly 200,000 people, were warned by the Color Red rocket alert system about 90 seconds ahead of the impact. They immediately headed for safe spaces as sirens blared throughout the area and around its surrounding suburbs. The missile exploded in an open area on the outskirts of the city. No one was injured and no property damage was reported.